At the Synagogue Church of All Nations in Lagos, Pastor T.B. Joshua absolves a woman of her sins, part of an effort to cure her of skin disease. 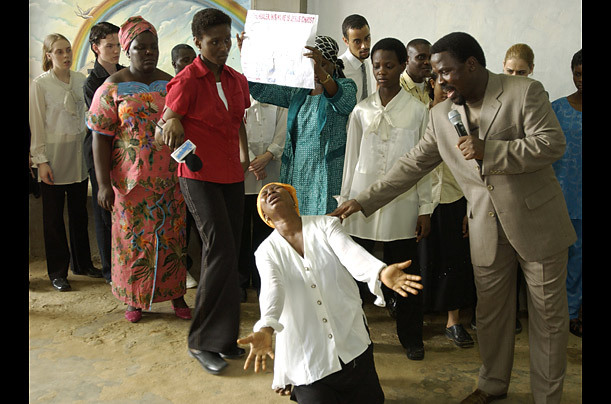 People come to the church from all over Africa to seek treatment for afflictions like AIDS, cancer and infertility.